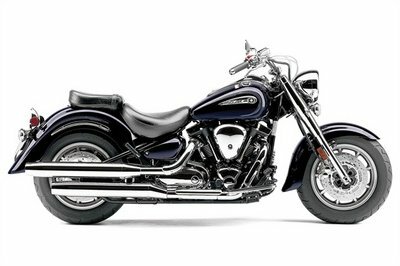 With its retro style, low slung stature and comfortable riding position, the 2014 Honda Shadow Aero continues to be one of the most wanted cruisers in its class. The motorcycle is built around a 745cc, liquid-cooled 52 degrees V-Twin engine with PGM-FI fuel injection. The engine puts out more than enough power to help you deal effortless with highway traffic and is mated on a wide ratio five speed transmission. As far as efficiency is concerned, the engine rewards you with a fuel consumption of 56 mpg. 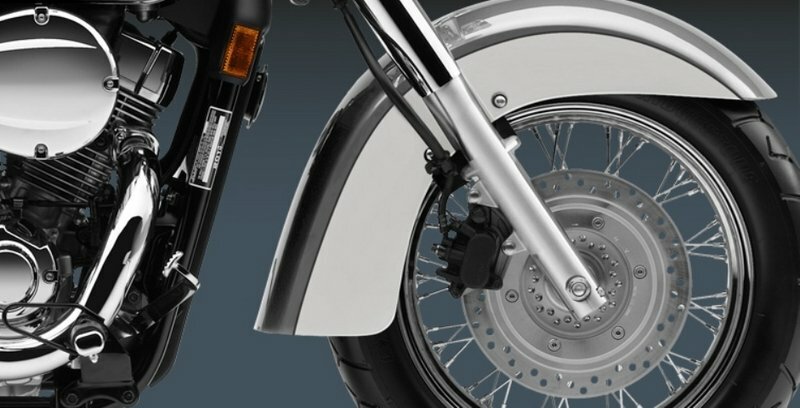 The motorcycle’s speed is kept in leash by a single 296 mm disc brake with twin-piston caliper and a rear 180mm drum. 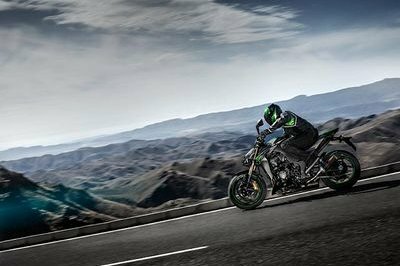 You also get a 41mm fork and dual rear shocks with five-position spring-preload adjustability that offer a fairly comfortable ride. 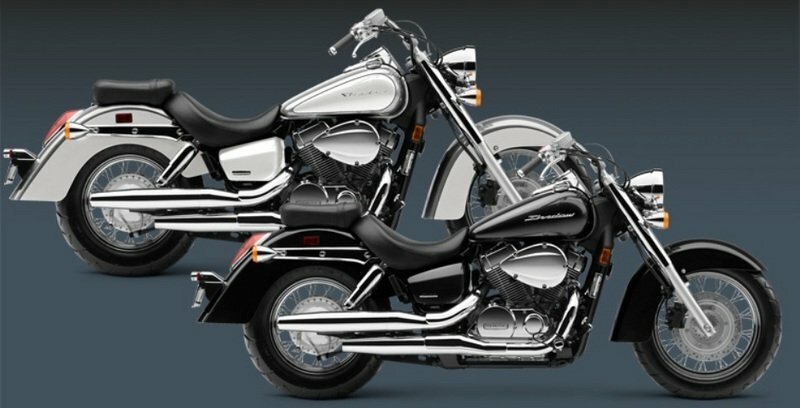 The 2014 Honda Shadow Aero is offered with a base price of $8,240. 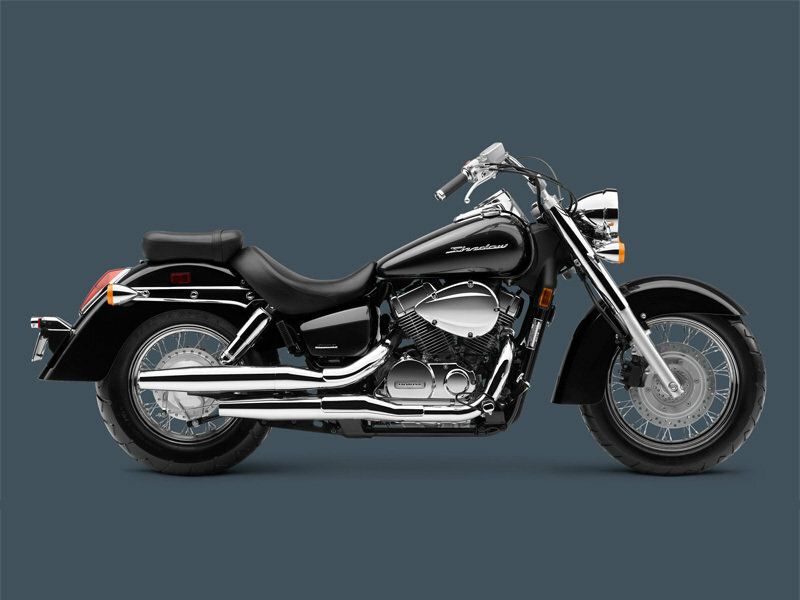 Hit the jump for more information on the 2014 Honda Shadow Aero. 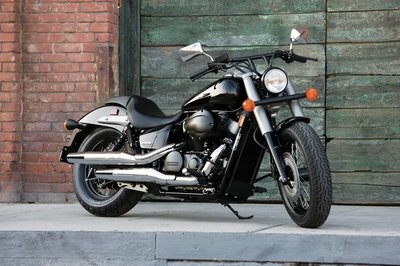 In Honda entire lineup of Shadow 750s, our Shadow Aero is one of the most popular cruisers on the road. And one look will tell you why—classic retro style, like the spoked wheels, full fenders and long, chromed mufflers. 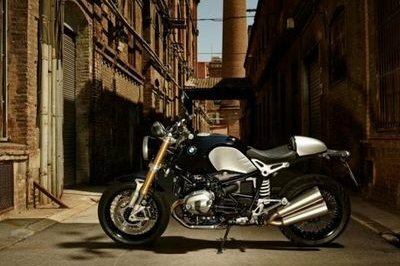 Styling is offset by thoroughly modern performance courtesy of the 745cc V-twin engine, specially tuned for low-revving torque, and maintenance-reducing features like shaft final drive. Best of all, the Aero is a huge bargain, giving you a big-bike ride without the big-bike price. And it’s a bargain when it comes time to fill up, too. If you’re ready to turn some heads in a big way and appreciate a bike that’s never going to go out of style, the Aero is the machine for you. A Classic Engine With Modern Power. There’s nothing like a V-twin when it comes to cruisin’. And the Shadow Aero gets one of our best: a 745cc powerplant that provides plenty of torque and a wide, user-friendly powerband. There’s No Mistaking That V-Twin Sound. 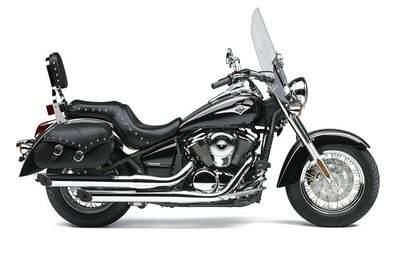 The Aero features a custom 2-into-2 exhaust system, flowing into bullet-style mufflers. The result is a soul-stirring sound that’s classic V-twin cruiser, making the Aero a bike that sounds as good as it looks. Less Maintenance Means More Time For Riding. If there’s one place you DON’T want retro performance, it’s when it comes to your brakes. That’s why we gave the Shadow Aero a 296mm front disc for distinctly modern stopping power. Nothing pumps out the torque like a big V-twin. The Aero’s power makes it perfect for both around-town cruising, commutes, and casual weekend-long rides. Forget about fiddling with a choke—the Shadow Aero’s fuel injection system means no-hassle start-ups on cold mornings or at high altitudes, and optimal performance in any condition. Wide-ratio five-speed transmission lets you cruise the boulevard at a low, unhurried pace, at the same time allowing you to hop on the highway without revving the engine through the roof. The broad, low-slung solo seat features a detachable passenger seat. 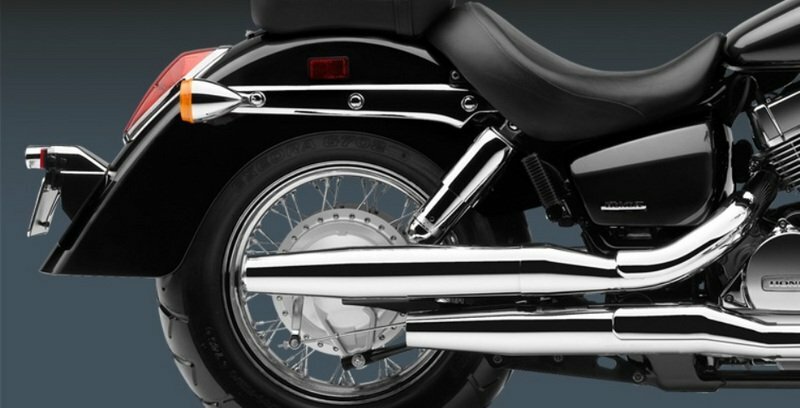 Sleek pipes feature bullet-style mufflers for that classic cruiser style of yesteryear. 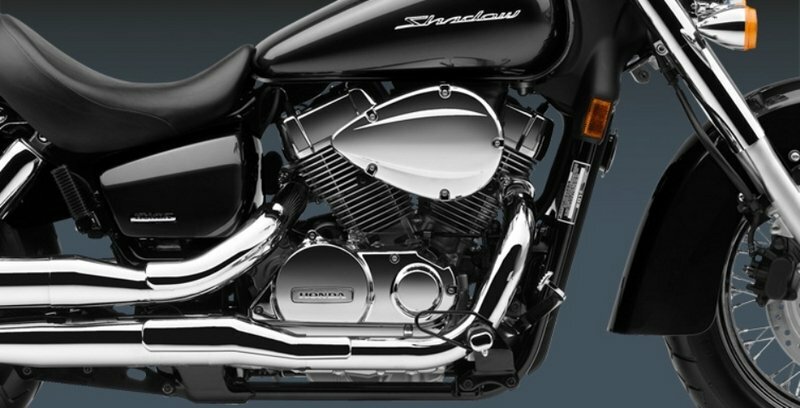 Large-diameter head pipes and a 2-into-2 system design combine to put out true, V-twin cruiser sound. Miles Per Gallon 56 MPG - Honda’s fuel economy estimates are based on EPA exhaust emission measurement test procedures and are intended for comparison purposes only. Your actual mileage will vary depending on how you ride, how you maintain your vehicle, weather, road conditions, tire pressure, installation of accessories, cargo, rider and passenger weight, and other factors. Warranty One Year, transferable, unlimited-mileage limited warranty; extended coverage available with a Honda Protection Plan.